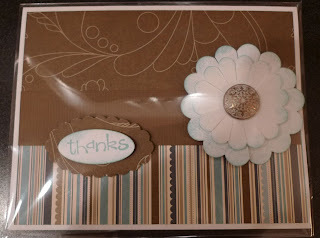 My downline and guests get together once a month for an evening of stamping & swapping. I love these nights!!!! 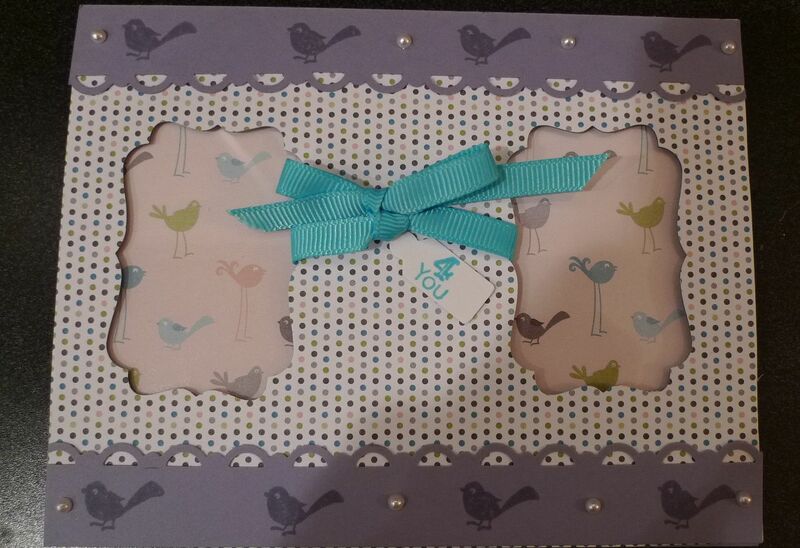 We have so much fun and share so many great ideas!!!!! The next night is Oct 21 if you want to join us. 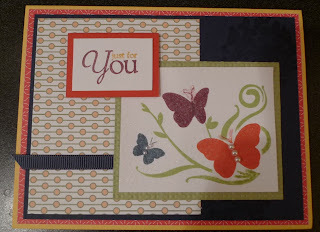 Kelly used the Pocketful of Posies Paper and the Precious Butterflies Hostess Stamp set. 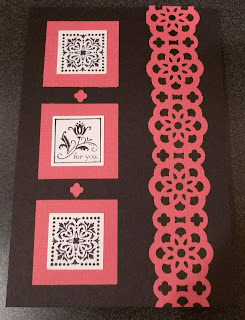 Merrill used the new the Lace Ribbon Border Punch and Textured Melon Mambo Card stock. 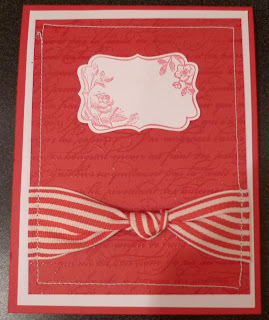 Kathy is sewed on her card and used the En Francais stamp set for her background. Bella Made a double scallop flower out of the scallop circle punches by cutting into the middle of the scallops to create flower petals. 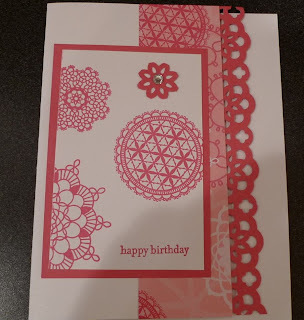 Crystal used the Delicate Doilies stamp set. 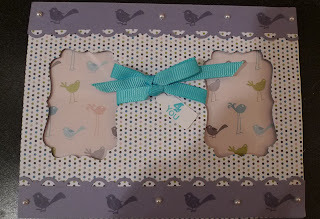 Chantal used the Aviary Stamp Set with the Nursery Designer Series Paper. Thanks for bringing the swaps!!! !